Sved goes to CSKA, he will replace Teodosic. Mantzaris will probably leave OSFP. I do not know his next team: Pao might be a choice but I believe Efes is the most probable choice. Sloukas allegedly informed Fener that he won’t continue to the club. Zots asked him to have a discussion with him before his final decisions. if he leaves Fener, the most probable destination will be PAO, where his sister also plays (for the women’s team of PAO BC). OSFP also discusses the option of bringing D. Miller or Higgins to replace of Lojo. Finally, IF LASSO MANAGES TO LOOSE THE CHAMPIONSHIP, HIS POSITION OUGHT NOT TO BE CONSIDERED… GUARANTEED. ps. How the heck D. Pick, the biggest and WORSE rumour monger, has managed to be considered a credible source, is one of the biggest mysteries of Euroleague. 1. Now that would be salt in the wound for Khimki, who’ll be back in the Euroleague. CSKA has the cash, and it seems like they’re tied with anyone who is looking for a new home. I’m not the biggest fan of a Shved-de Colo combo, but I don’t think it’s preposterous to think about either. 2.) Mantzaris seemed like a good fit in OLY, but I’m sure he got the wrath of fans for not having a great Game 5. He’s a bit of a streaky shooter, but he’s tough and plays hard, which would be a good addition for PAO. Sloukas would also be interesting. I can’t see him leaving Fener, especially if Bogdanovic leaves. His role will greatly increase with a Bogdanovic absence. That will be interesting how it plays out. 3.) I like Hogue. Reminds me of Young with a bit more of an offensive game (though he still is pretty limited). I’m hearing Miller is being tied to a lot of teams as well. I know I have heard some CSKA rumors. Personally, I think Bamberg could survive without him. He had a tendency to make a lot of dumb mistakes in crunch time, especially in euroleague. He was a nice addition to lessen the blow of Wanamaker leaving, but I don’t think he would be a huge loss for Bamberg. 4.) I would be really surprised if Lasso coaches next year if he loses this series to Valencia. Simply because they got him all the talent in the world, and they STILL seem to struggle on the court together. The biggest disappointment this series has been Randolph who has just been a no-show it seems for a few weeks now. (Not surprising. As someone who followed his NBA career, this is quite typical of Randolph. One step forward followed by three to four steps back). Maybe I’m overreacting but people were grumbling about him before this series. Losing to Valencia 3-1 would just make the fire insurmountable in my mind. 5.) It is weird how Pick kind of became the posterboy for Euroleague sources, but I think it mostly is due to the lack of english-speaking journalists covering the Euroleague. With the international game gaining popularity, there is a desire for people to know more about players and coaches abroad, but unfortunately, a lot of sources are not in English. So, Pick kind of capitalized on this glaring need in the worldwide basketball community, hit a couple of rumors right, and then became anointed as the European Woj. For someone who’s limited linguistically, he’s really our best option, though Google translate helps a little bit. So Baskonia and Sito Alonso part ways. Interesting. I would bet that Barcelona is the reason behind this decision. I saw this as well. It seems like Baskonia fans were really eager to see him go after they lost to Valencia in the semis (which actually might not seem too bad right now). For whatever reason, I was a bit confused because Alonso has a good reputation as a coach in Spain (from what I know) and he spent a lot of time coaching in Basque country as well (he coached in San Sebastian and Bilbao before Baskonia). However, despite a decent season, it just seemed Alonso and Baskonia was going to split either this summer or early next year if they hit a bad spot. 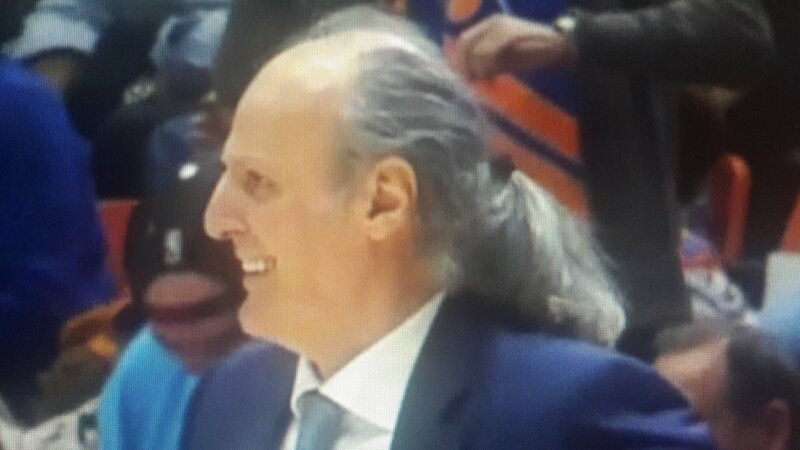 (Though it does seem Baskonia goes through coaches quite regularly). Who do you think fits in here? They’re talking about Prigioni, who doesn’t have any experience, but could bypass the ACB rules (two years of top level experience) if he gets a degree (or so I hear…if you know how this works, please enlighten me). I heard that Saras could not be an option for Barca because he has never coached at a professional level for more than a couple of years so I just do not get it how Prigioni will be the new coach of Baskonia. On the other hand, Querejeta is capable of hiring a strawman just to let Prigioni coach “unofficially”.How about Bartzokas in Baskonia, what’s your opinion on the matter? What a year, Barca-Maccabi-Baskonia-Milano-PAO changed a coach and perhaps Real will join them, too (Alonso for Real perhaps?). Keep one name: Ufuk Sarica. Excellent tactical mind, highly underestimated.I would love to see him working on a higher tier. ps. Unfortunately, Perpe is coming to us. Personally, I don’t want to see him not even near the parking of OAKA. That’s what I heard too, because I remember Saras was prevented from going to Barca last year, so it didn’t make sense about Prigioni. Some people on Twitter talked about getting a Spanish college degree also being qualification which didn’t make any sense, so I was wondering if you knew how the ACB system worked better than I.
I actually like Bartzokas going to Baskonia. I think he could do great things with that roster, especially if Larkin comes back and if they continue to build like they have the past couple of years. His style really would work with Baskonia, and though they would lose Hanga, I think they probably would be a bit defensively as well. I never thought about Alonso to Real. I feel that’s a bit ambitious for him, but then again, there’s not a lot of other options out there. If Laso goes, he’ll probably find a decent landing spot amongst the big jobs. I actually like Sarica. He did tremendous work in Karsiyaka, and I can imagine he’s probably not too happy that Besiktas is back in the BCL and won’t have a shot at qualifying for the EL. I would like to see him coach on a team outside of Turkey, as I think you’re right, he’s quite understimated (Efes seems to do so time and time again). That’s good news for PAO. Even if they don’t get him, forcing OSFP to overpay would be a good consolation victory. They’re going to lose a lot I imagine, and they already signed Printezis to big money. If they sign Mantzaris to a big contract too, then it gives them not a lot of flexibility to fill the rest of the roster. Yeah, last year was a dud for Perpe, and I wasn’t too impressed either last year. Where does he fit on this team? I know he’s familiar with Pascual and his style, but that’s the only positive I see with this move. And Yes, with Saras staying in Zalgiris and Blatt staying Dacka, and Martinez turning down the job I think Alonso is a shoe in. Good youth development coach, and it looks like Barcelona is rebuilding, as they are jettisoning a lot of older players like Stratos and Oleson. Could be a good fit, but Barca fans might not see any real progress until year 2, especially as Alonso implements his style which doesn’t fit the current roster.